Ready to enjoy a fun, relaxing night out? Bring your friends and join us for the unique experience of an El Art Uncorked social painting party! Eat, drink, and paint your way to creative bliss! WHAT ARE WE ALL ABOUT?—————————————————el arte Uncorked is for both the artistic and not so artistic. The instructors are experienced art teachers and will guide you through the step by step process to create a painting of the night while you paint with friends and have a fun time. •YOUR HOME or VENUE OF CHOICE. 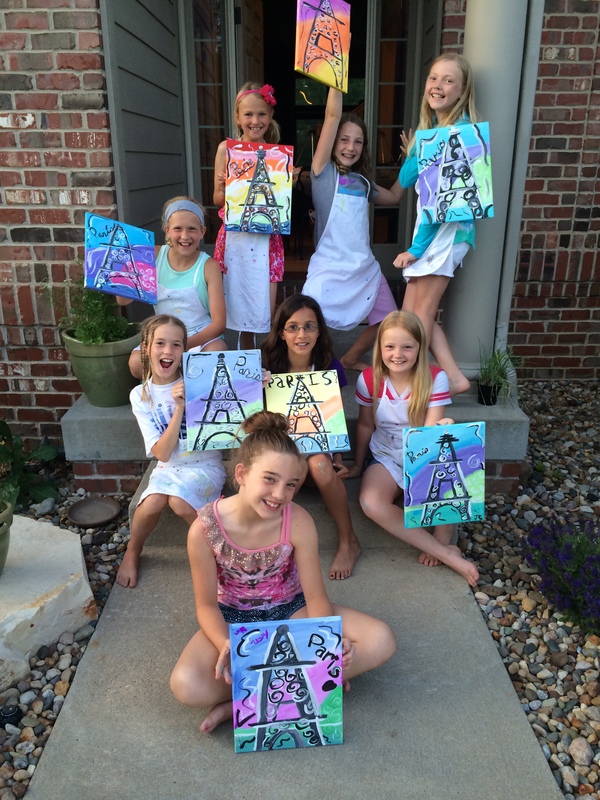 Hostess gets to paint for free with at least eight paying guests! •YOUR BUSINESS: Great for Team building/goal setting events. The educator, leadership, and art therapy classes I’ve taken give me the foundation to create a perfect office event for your company. NEW!! 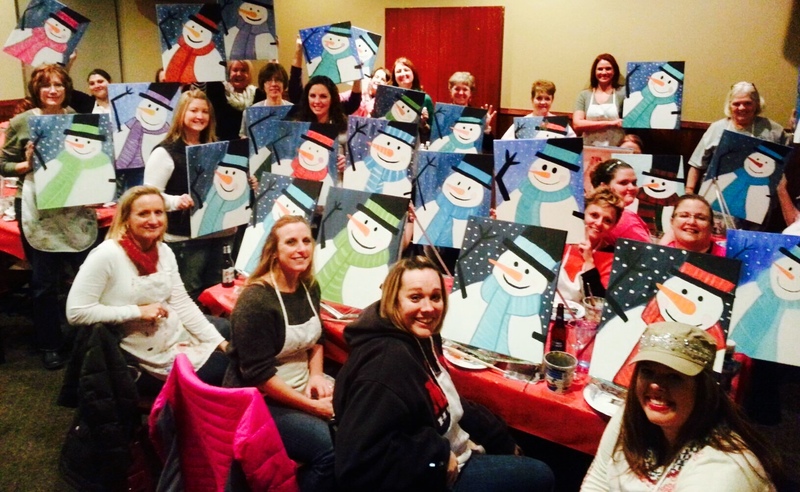 We have an el arte Uncorked original team building/goal setting painting activity that has been proven successful in many Des Moines area companies! Let us help you with DESIGN THINKING, the newest way to promote innovation in your business. CHILDREN’S BIRTHDAY PARTIES! Being a teacher for 9 years makes this a natural fit! Several painting selections to choose from. Click on “Children’s Parties” at the top of the page for details! 515-681-4846 Check the FAQs page for more information about this popular pastime.